After copping a one-week suspension in the opening round, Mitch Robinson is available to return. 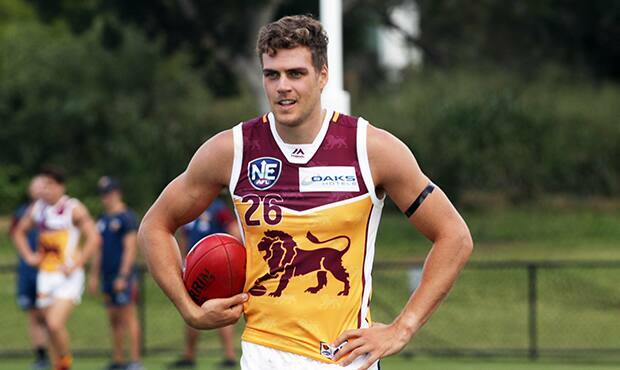 Tom Cutler is still knocking on the door after another strong showing in a NEAFL practice match at the weekend. Josh Walker was quiet against the Demons and needs to produce more, however against a tall Power team, will likely keep his spot. Sam Mayes has also struggled in the first fortnight. Daniel Rich has been listed as a week-to-week proposition, but the ankle ligament problems will keep him away a bit longer yet. Robinson is known as a contested ball winner – the area coach Chris Fagan thought cost the Lions last week – and should come straight back in. Rohan Bewick was a strong contributor last week and should retain his spot, so with no injuries, Mayes might be the man under most pressure. Veteran goalsneak Lindsay Thomas booted six goals in Port's 95-point thumping of Adelaide in the SANFL, midfielder Joe Atley was impressive with 24 disposals, while Trent McKenzie had 25 touches across half-back. After two impressive wins against Fremantle and Sydney to start the season, the Power won't make any changes they don't have to. Forward/midfielder Chad Wingard is in doubt with a hamstring injury sustained in the win over the Swans. The six-day break could be too tight. If Wingard can't get up, it'll be a choice between Thomas and midfielders Atley and Karl Amon.